So You’re Thinking About the Chicago Semester? Hope English major Lisette Boer (’19) recounts why studying off-campus turned out to be one of her best college decisions. When I decided to commit to the Chicago Semester last spring, I was both excited and terrified. Little did I know that living, learning, and working in Chicago would be an integral part of my growth as a Hope student and an individual. Like many of the Fall 2018 students, I grew up in a small town in the Midwest without much experience in an urban setting, which made Chicago seem very daunting. 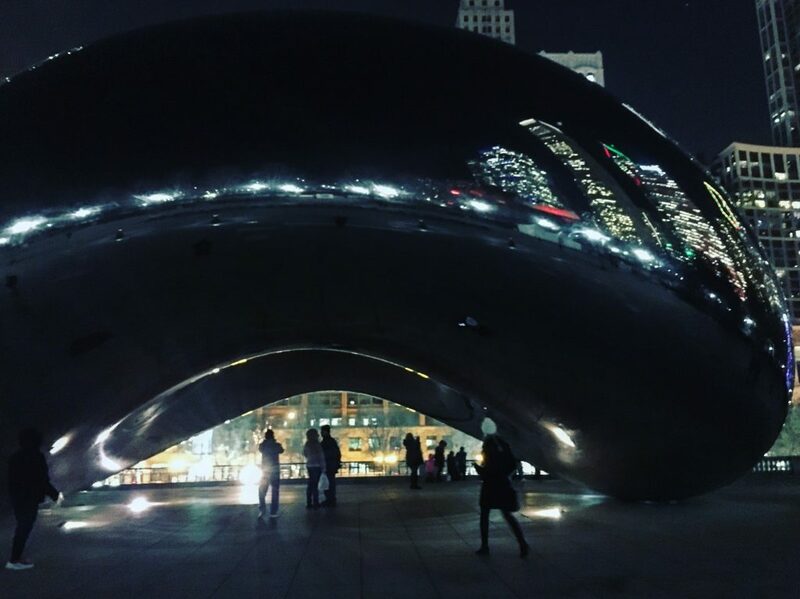 However, upon arriving, the Chicago Semester staff helped us get acquainted with public transportation, city life—all the elements of becoming independent. In classes every Wednesday, I was asked to question the limitations I had set on myself, both emotionally and spiritually. One of my favorite class days that the Chicago Semester provided was a Service Learning Day. That Wednesday, we learned about homelessness in Chicago and volunteered at Pacific Garden Mission, a homeless shelter. Learning about the residents’ experiences and the prejudice that others have faced really prompted me to reflect on my own privilege and how my actions impact the world around me. Each opportunity that I had in Chicago was invaluable, because it gave me hands-on experience outside the traditional classroom. I was able to talk to people face-to-face in contexts I may not have encountered on campus, which gave me a greater perspective on life outside of Hope. A core part of the Chicago Semester’s program is interviewing and being placed at an internship, corresponding to each student’s major and interests. After several interviews, I accepted an internship at Open Books, a social nonprofit venture that promotes literacy programs in Chicago, within the Chicago Literacy Alliance. At Open Books, I was able to apply what I had learned in classrooms at Hope and practice them in a fast-paced professional setting. Four days a week, I facilitated reading mentorship programs in Chicago public schools and assisted with publishing the content of the organization’s creative nonfiction writing and performance workshops. Often I would travel alone to and from my classrooms and the Open Books office, which was frightening at first, but ultimately helped me to embrace having more independence. Working as a literacy intern was significant part of my experience, because I felt like the work that I did was valued and going towards a larger cause in the Chicago community. On the last day of my internship, it was amazing to see the growth my students had made and all the work I had done through the semester. Beyond the academic goals you complete during an off-campus program, I’ve found that the people you cultivate friendships with are vital to the growth you achieve. The friendships that I made fostered my confidence and pushed me to discover many different parts of Chicago. It was a lot easier to travel on public transportation and go to big events, like the Festival of Lights in the Magnificent Mile, with a friend by my side. One important relationship I made was with my supervisor, who guided me through working in a third grade classroom at a Chicago public school, and at Open Books. I remember being so nervous about starting my classroom program. She helped me put together materials to help my students, along with walking me through the goals for the program before and after I started. After working with students who were sometimes resistant, and not always knowing what to do, it was just what I needed to have someone who pushed me to be the best version of myself. So, you’re thinking of doing the Chicago Semester? Each day will be a discovery of the person you’re becoming and what you want to get out of life. In the end, you’ll be asking yourself how you got so lucky. So well written! Thank you for sharing!